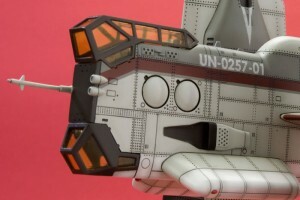 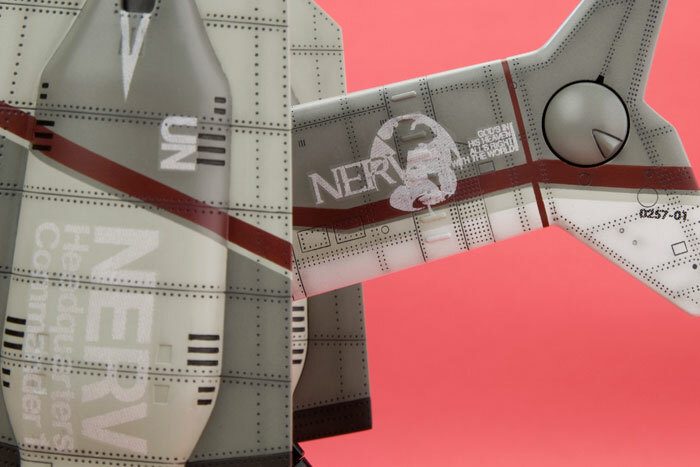 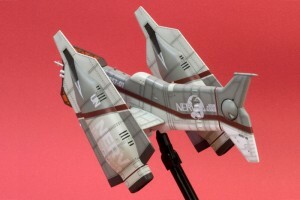 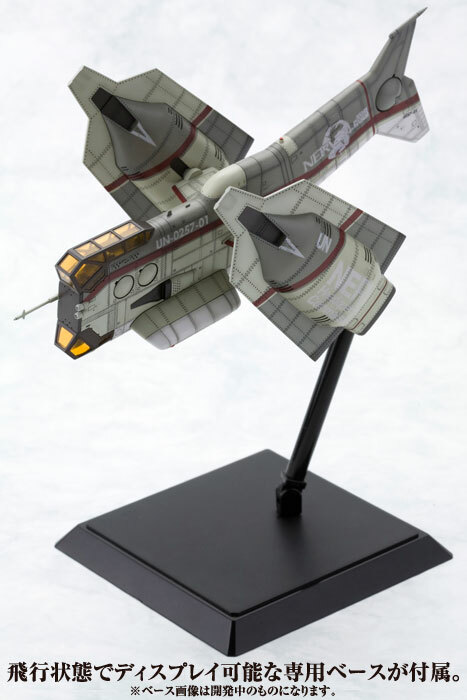 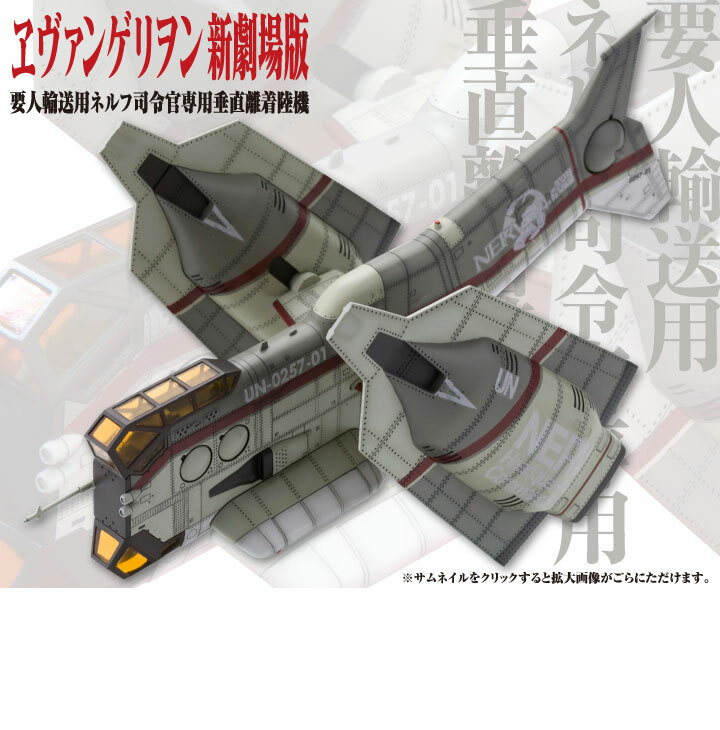 Kotobuyika is releasing a 1/100 scale “NERV Headquarters Commander 1” VTOL aircraft as seen in the new Evangelion movies. It’s about 19cm long and based on the pictures, it looks fairly detailed. Release date is set for April and will run 4725 yen (including tax). There’s more pictures at the Evangelion VTOL page at Kotobukiya’s website.